Gearing Up for the New Harry Potter. Who’s With Me? My name is Joanna and I am a Harry Potter addict. 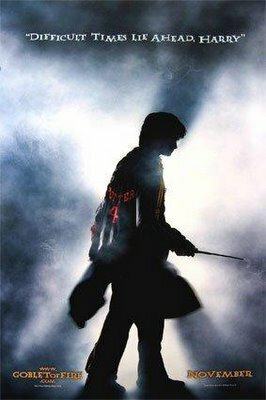 I’ve begun my countdown to the opening of Harry Potter and the Goblet of Fire on Friday November 18. There are six days to go! Gone are those frivolous early days at Hogwarts where all you had to worry about was accidentally letting a troll into the building or commandeering a flying car. The fourth installment will be darker and grittier than the previous three films as Harry Potter inches closer to his face off with Voldemort. Unlike most Harry Potter diehards, I will not attend the first showing of Harry Potter and the Goblet of Fire.This is because I have to wait for my sister to come home for Thanksgiving. It is our tradition to see the latest Harry Potter movie together, on Thanksgiving, in order to bail on our wacko family. This shuld be fun, but the main actors are getting up there in age aren’t they? It works because of the nature of the story, though. They are aging but it kind of goes along with the books/movies. If I guess right, most of the actors will be about 20 when they finish filming and never be able to work outside of the Harry Potter series. haha i love you jo! I’d knew you’d appreciate it Yoojin!